Stevenage have signed striker Aaron O'Connor from Forest Green Rovers on a one-month loan, with a view to extending it to the end of the season. 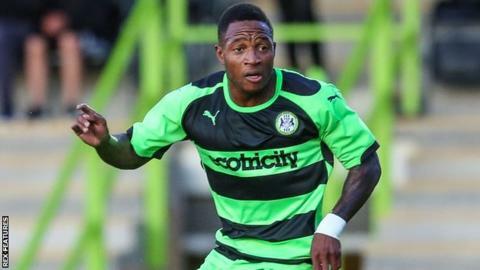 O'Connor has scored nine goals in 20 National League appearances for Forest Green this season. The 32-year-old signed a one-year contract with Rovers in July following his release by Newport County. O'Connor will be available for Stevenage's League Two trip to promotion-chasing Plymouth on Saturday.